Are you trying to figure out if homesteading is right for you? While there’s no denying that some days can be a challenge, here are 10 reasons you will really enjoy homesteading. Don’t let the challenges lying ahead scare you, the rewards are well worth it! It goes without saying that you will never really know exactly what is in the processed foods that you buy from a store, but this applies to fresh foods too. From pesticides to cleaning products, commercially grown food has a wide range of different chemicals before it reaches your kitchen. The majority of homesteaders grow their food organically, meaning that you will know exactly what has gone into it, as well as where it has been grown. You will also be able to grow a much wider variety of different foods, choosing ones that cannot be purchased from grocery stores. As a result, your food will be much more nutritious, and so much tastier too. One of the homesteading highlights for many is the fact that they are able to surround themselves with animals. While animals are not essential to the homestead, they do make life much more interesting. Plus, they provide you with a constant source of complete protein, very valuable especially in the aftermath of a long-term disaster. As mentioned above, the food that you grow and eat on your homestead will be so much more nutritious than anything you could buy, but this is only one of the ways in which homesteading will make you healthier. Simply spending time in the garden, whether this may be digging, weeding, planting or anything else, has been proven to decrease stress and boost the mood, while also reducing the risk of dementia by 36% (source). Doing all of the tasks that a homestead requires also means that you end up doing so much exercise, with so many different muscle groups in your body benefiting from this workout. 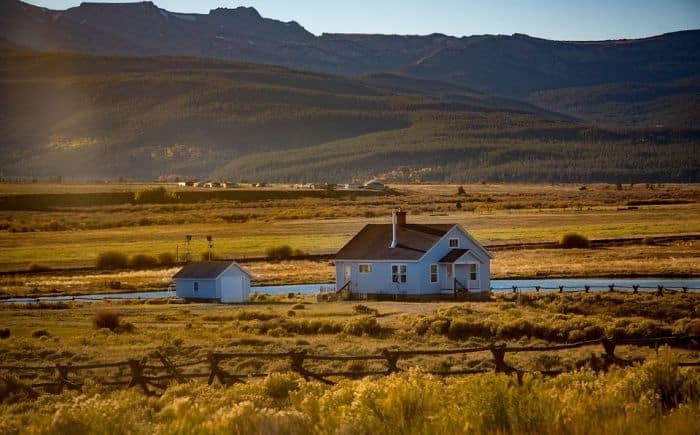 There will definitely be times when it feels as though your homestead is a never-ending money-grabbing pit, but, for the majority of the time, homesteading means that you will likely be saving money in quite a few different areas of your life. For starters, if you use a fire or a wood stove, collecting and chopping your own firewood will drastically cut down on your heating bills. Wood is by far the cheapest fuel you can get. Growing food, and then cooking delicious meals from scratch, is also much cheaper than buying ready-made dishes, while the “free” eggs that your poultry provides will be of a quality that you can never be quite sure of with store-bought eggs. Sure, it’s nice to eat out every once in a while, but doing it every day can cost you a LOT of money. A homestead requires much time and effort, so you will likely also save money on activities that you would have otherwise been doing if you lived in a town or a city. Whether this may be cutting back on restaurant meals or only going to the movies once a month instead of once a week, you will end up replacing these activities with free, home-based ones. Many people have such a tedious commute to work, but working on your homestead means that you will be able to do away with this. Although many do still keep full-time jobs while homesteading, you will likely be able to cut back on the number of days you need to go to work, as you will be spending the rest of your time running your homestead. Rather than waking up and facing an hour of traffic each morning, you will be able to spend that time surrounding by nature and your animals, which really does so much good to your mental state of mind. 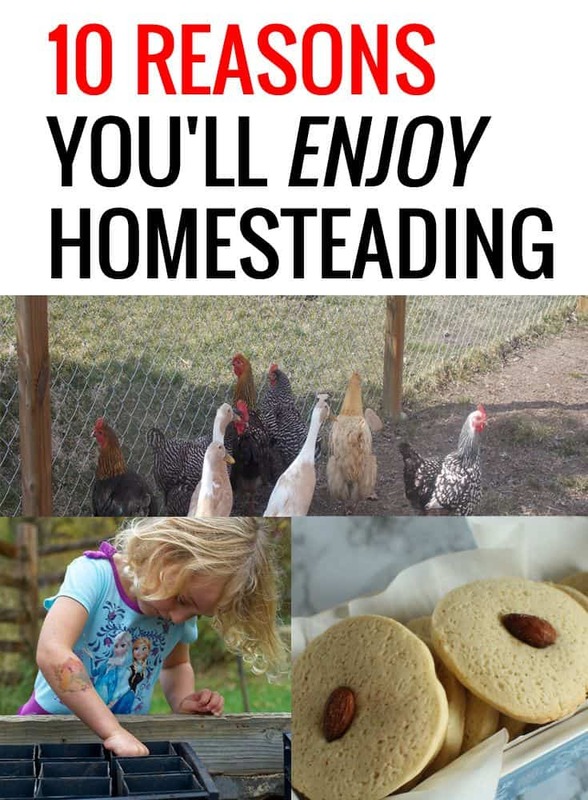 Of course, you’ll still have bills to pay, so if you’re looking to do this full-time, you should definitely think of ways to make money while homesteading. You won’t get rich but when you expand your tiny homestead, you should get a better yield for your increasing efforts. One of the major problems with the planet today is that so much of what we do is extremely damaging to the environment. However, when you have your own homestead, this is something that you can really take control of. Most people with a homestead aim to be at least somewhat self-sufficient, meaning that you will not be depending on others for your daily needs. In terms of food, growing your own means you no longer need to purchase ingredients that have been grown with a range of chemicals and then wrapped multiple times in plastic, and also helps with the food waste issue that developed countries are dealing with. Food miles are also reduced to pretty much nothing, and you’ll have such a greater appreciation for everything you do eat. As mentioned above, spending less time going back and forth into town, whether this may be for work or socially, means that you also help to cut back on road pollution, and you are likely to also find yourself walking more, rather than driving. Many homesteaders also produce their own energy, such as with the use of solar panels, wind turbines and so on. Re-using items, as well as recycling and composting, is a huge part of homesteading, so far less of your goods are likely to end up in a landfill somewhere. Homesteading teaches you so many life skills that will benefit other areas of your life. There are so many practical skills that you will learn on a homestead, from growing your own food to fixing broken vehicles to stock fencing. Young folks nowadays can barely change a tire, let alone make it on their own, without this intricate system that society has built around them. Homesteading is a constant learning process, and while sometimes it may seem as though you do not have particular skills that you need for a certain situation, it will not be long until you learn these, and are well-equipped for the next time you need them. There will be many challenging and frustrating times on your homestead, but you will be able to pick yourself up and bounce back from these so much better than the average person. 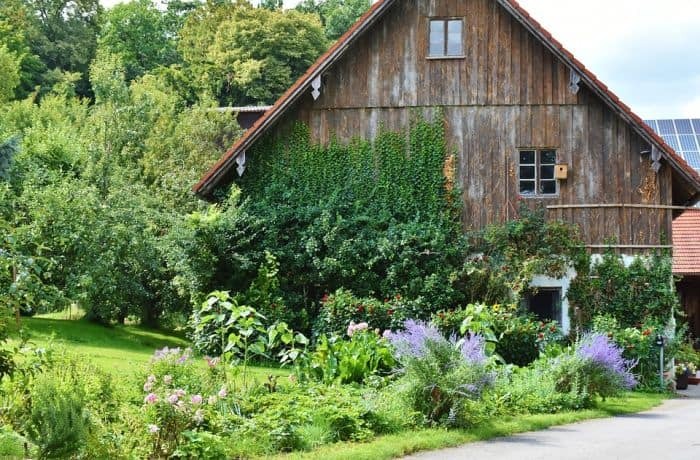 Homesteading gives you such a sense of resiliency, and you will become so much better at problem-solving, coming up with new and creative ways to deal with the challenges that your homestead, and the rest of your life, provides. For those who do not homestead, problems such as blackouts or bad weather leading to food shortages can sometimes be fatal. However, those who live on a homestead will be well-equipped to deal with these issues, having everything from alternative energy sources to stockpiles of food designated for the winter months. This also goes without saying, but homesteaders are also better prepared to tackle large-scale SHTF events. For obvious reasons. Job security is another problem that many deal with, but, if you do ever end up losing your job, you will have your homestead to fall back on and support you until you are able to sort something else out. There are plenty of benefits that come with a modern lifestyle, but there is definitely something to be said for a more traditional, simple life too. Simple living has been proven to do everything from reduce stress, blood pressure and the risk of disease to boosting overall health and peace of mind. There are so many studies out there that back up the benefits that doing away with technology and materialism can have, while not depending on these comforts can seem frightening at first, it will not be long before you wonder how you ever managed to live differently. There is no denying that homesteading requires a lot of hard work and dedication, but the up sides to it are definitely worth while. Have we missed out on any of your personal favorite reasons you enjoy homesteading? If so, let us know in the comments section below! Thanks for sharing this post! I especially agree with the part about getting healthier. Although I don’t own a proper homestead, I do spend a lot of time in my garden digging around and planting and growing. It has certainly had a massive improvement on my health! I admit, in the winter it is difficult. I leave for work before the sun rises, and come home after dark, so working the garden can be tough. However, I always look forward to summer! Getting out in the garden always improves my mood. Thanks again for sharing, I hope more readers can include at least some of these benefits in their lives.